Rausu is located on the east end of Hokkaido’s Shiretoko Peninsula. 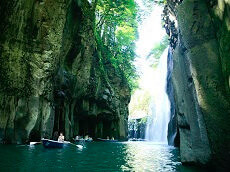 It is situated on the southeast corner of the peninsula facing the Nemuro Strait. The town stretches along and narrow strip of land, extending 64 km (39.77 miles) from southwest to northeast. 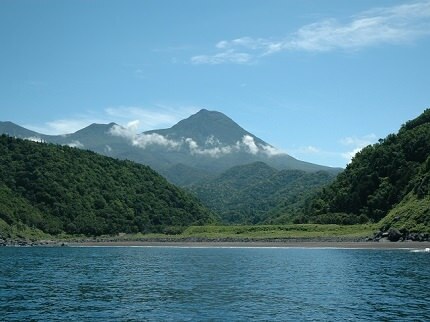 The Shiretoko mountain range extends north on the peninsula to the sea where it forms steep cliffs. 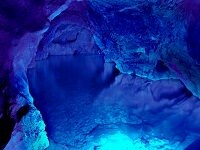 The Shiretoko mountain range, formed by past volcanic activity running through the centre, is the source for a myriad of rivers. Due to its harsh topography and climate, a large part of the peninsula remains accessible only by sea. The area is covered in primeval forest, 50% of the region has been designated a special preservation district, with permission required for access. Village communities are found mostly on the coast line at the mouths of these rivers. The “downtown” of Rausu is at the mouth of Rausu River where it joins the sea at Rausu Harbor. The primary industry in Rausu is fishing, and every morning scores of fishing boats head off into the Nemuro Strait. Rausu attracts people for many reasons. Visitors come during the summer for whale watching, and to catch sight of the brown bear, as well as deer and foxes. Winter brings snow on the town, a layer of drift ice on the sea and the chance to take an ice-breaking cruise to see dolphins and the Stellar’s Sea Eagle, the largest eagle in the world.